Inspiri Interiors — Life as a Designer - blog from an Interior Designer based in Bedale, North Yorkshire - How do you create that look?!! How do you create that look?!! As you scroll through your Instagram feeds and see all those amazing interiors pics and perfectly designed spaces (they don’t always look like that) everyone always asks how do they do it. I managed to create my own at the weekend which I thought I would share with you. I have been trying to find an artist that could just paint what was in my head for a while and then I discovered the AMAZING Toni Thornton Art (Instagram - @t_thornton_art). 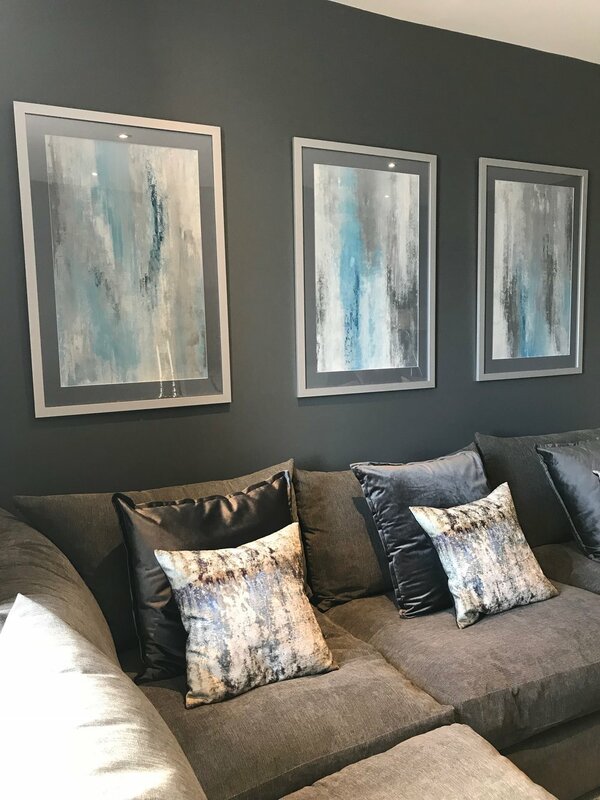 Artwork not only brings in colour, ties together a whole scheme but it can also reflect the layout and make it symmetrical which is a key element to design. As you can see from the images below the artwork mirrors the cushions and flows up from the back of the sofa. 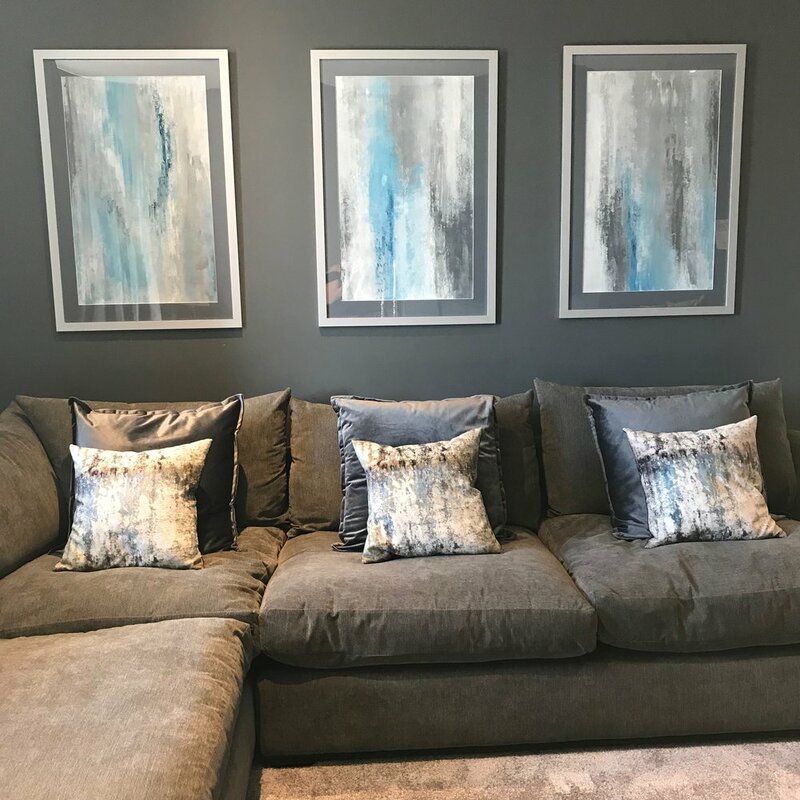 They were measured perfectly to fit the space and were painted by Toni to tie in all the colours in the room making them truly bespoke and designed just for me. I am so happy with them and couldn’t recommend Toni enough. I can’t wait to use her skills for some of my lovely clients. Hope you can see why in the images below.